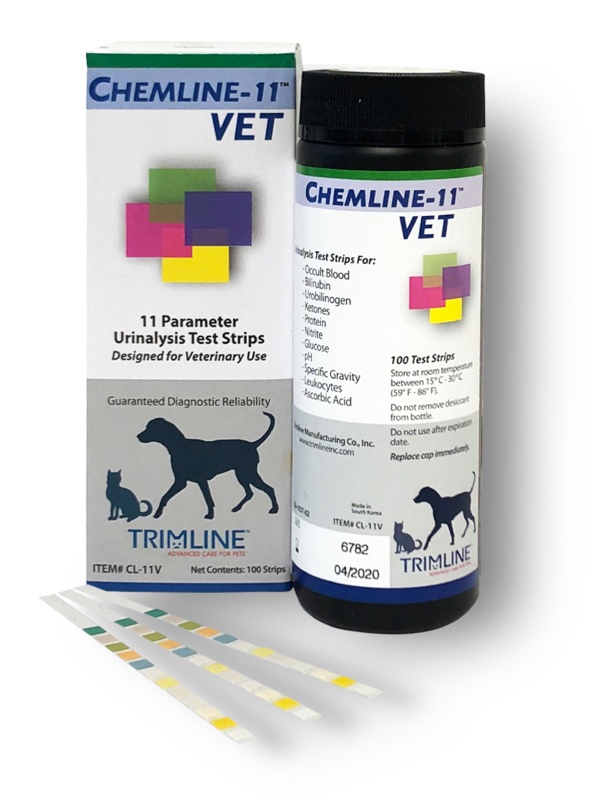 Our Chemline-11 Vet, 11 Parameter Urinalysis Test Strips are specifically designed for veterinary use. Urinalysis test strips are an easy to use, cost-effective medical tool that allows for the specific diagnosis and effective treatment of various disease states. Our test strips are designed to detect small pathological changes in urine and provide the result via a color-change test field. ​​​​​​​Any irregular results should be confirmed with additional laboratory testing of the urine sample.